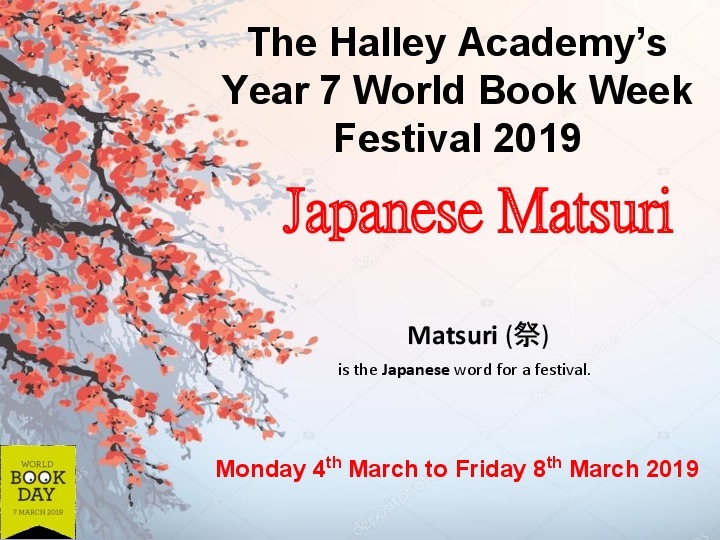 World Book Day is on 7 March 2019 and Year 7 at The Halley Academy will be celebrating this with a week of Japanese themed challenges including: the chopstick relay and manga art. There will be an exciting prize for the top tutor group and an opportunity for 60 of our Year 7 students to visit Wilmington Academy on 8 March to see Chris Bradford, bestselling author of the 'Young Samurai' series! In addition, Cucina will be providing a Japanese themed menu on 7 March and you may see some of our staff dressed as their favourite book character. Please click the link here to view an order form for Chris Bradford's books.